Today Mardi Gras or "Fat Tuesday" will be celebrated will be celebrated with varying degrees of debauchery around the world. Others of us will stick to pancakes, perhaps ramping the meal up with some sausages on the side. This is the last day before Ash Wednesday and the beginning of the Christian season of Lent. Because Lent was traditionally a time of self-denial Christians would get rid of the fat in their kitchens and do some celebrating before the six-week season began. A lot of us grew up without Lent, leaving that notion to the Roman Catholics. While many conservative Christian groups still look askance at this "popish" behaviour, a surprising number now include aspects of the liturgical year in their worship life. Abstinence and self-denial can actually be good choices in an age where there seems to be so little encouragement to see less as more. Perhaps we would be better off with less screen time and more prayer time during our journey toward Easter. Fasting from meat a day or two a week makes a lot of sense, environmentally. Citizens for Public Justice have their Give it Up For the Earth emphasis, which has a Creation Care theme. I wonder how far we can go to reduce plastic from our "diet," a modern day version of the traditional ridding ourselves of rich foods during Lent. What if we consciously chose not to purchase goods, including food, entombed in the plastic which is plaguing our waterways, lakes and oceans? Lent is also about a shift in attention and intention. I would encourage you to take a moment in every day to be aware of the world beyond your walls, admittedly a challenge at times when we feel housebound by winter conditions. How about keeping a Lenten notebook in which you record the simple pleasures and beauty of the natural world? That may require a commitment to get outside more often to experience creation and Creator. Lent begins this Wed 2/14. Add a practice of gratefulness to your life. 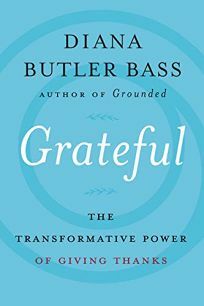 Keep a gratitude journal, write a thank you letter to someone you appreciate, surprise friends with thank you gifts, do gratitude meditations. Make this a thankful Lent. Will you give up or take on anything for Lent this year, or will you give up thinking about Lent for Lent?